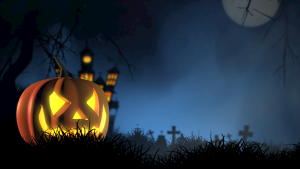 It’s Halloween week, so would this be a good time to face your own fears, ghouls or ghosties?? I’m not going to lie. I’m not a lover of horror movies, Halloween or stuff that’s scary. I think my scare threshold is pretty low when it comes to TV particularly – I loved “Stranger Things” on Netflick, but spent most of my time watching behind a cushion with the sound down!! In Halloween week, ghosts, witches and hideous pumpkin faces seem to be everywhere, and it got me thinking about fear and how often deep-rooted fears are the things that keep us stuck. “Feel the fear and do it anyway” by Susan Jeffers was one of the first of the self-help books that I read back in the day. The idea that we can face our fears as a way of learning more about what can hold us back underpins most of my coaching work. In working with fears, personal drivers and the deep-rooted reasons we feel stuck, I often feel that my role is to shine a light under the bed (because that’s where all monsters live don’t they?) and enable the person to have a good look at what’s there. Often when we start to examine these deep rooted fears, their impact or the hold they have on us lessens. We start to see them for what they are – irrational fears or beliefs that no longer serve us. Or, in some cases, just don’t make sense any more. Here’s some examples of the sort of questions that you can use to help lessen the hold of underlying fears. Questions are a great way of engaging the rational side of your brain, and they distract the emotional side, as an added bonus. What is it that I am afraid of here? Where and when did this originate? How valid is this here and now? How is this helping or hindering me right now? If you’re interested to work with me on what is really keeping you stuck right, please feel free to get in touch!